realROOF was launched back in launched back in 2014 revolutionising the traditional roof building process. With this system, builders could install a thermally superior roof in less than half the time of a traditionally built roof. Due to advances in technology, realROOF was phased out in 2017 and replaced by the Ultraroof. The realROOF could have been configured to create a design that was either modern or traditional, so you’d have been able to fine-tune the appearance of your new extension to suit your requirements. The inside and outside of your property would have been perfectly harmonised, resulting in a space that blended in seamlessly with your existing architecture. To achieve your ideal design, you could have opted for stone or brick piers, dedicated aluminium posts or super-insulated columns. The latter of these choices would have rewarded you with the best thermal outcome because our super-insulated columns deliver heat retention levels five times higher than a brick pier of equivalent size. Don’t worry, though. The Ultraroof, which has since replaced the realROOF, can be customised to include brick or super-insulated columns – the latter of which will reward you with thermal efficiency levels five times higher than a masonry column of the same size. Inside, your room will benefit from a space-creating vaulted plastering ceiling. All of this means that you’ll have access to a wide range of design options, just as you would have with the real ROOF, and will benefit from a room space that’s a lot more comfortable and which produces a lower U-value as well. When choosing your new roof, you want to know that it can be installed with the minimum fuss and in line with existing planning permission and building regulation rules. Our realROOF was LABC approved. Because of this, the number of building control checks needed was fewer and the approval process shorter. The Ultraroof, which replaces the realROOF, is light in weight and designed to overcome planning permission and building regulation issues. It has also been tested by Warrington fire as an entire structure to ensure that it meets stringent regulations. Following the assessment, it was awarded B-roof according to EN13501-5:2016 and AC in line with BS476-3:2004 legislation. So, although the realROOF is no longer available, we can introduce you to a system that further improves upon the performance and mechanics of its predecessor. The realROOF wasn’t just a solid roof. 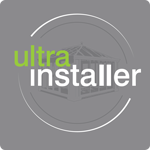 To create a better sense of space within your new environment, you could have asked your Ultra Installer to fit roof windows. Your new glazing would have broken up the exterior section of your new roof and created a pleasing decorative effect, while internally directing light from above to fill your new room with lots of space. Likewise, the Ultraroof has been designed to maximise light penetration. You can choose to have full height glazing or Velux windows, either of which will reward you with an environment that’s lighter and brighter and which feels more connected to the outside. The realROOF excelled in terms of thermal performance. The Kingspan insulation in its roof panels would, when fitted in conjunction with super-insulated columns, have worked together to create a low U-value. Your new structure would have been warm and comfortable; your heating costs would have dropped as a result, too. The same benefits apply to the Ultraroof. Because of the thermally retentive super-insulated columns we mentioned earlier, your new room will be more effective at locking in the heat – resulting in a space that never gets too cold. When designing your realROOF, you wouldn’t have needed to worry about whether your proposed design would have jarred with the aesthetics of your home. Your Ultra Installer would have been able - in almost all cases – to find a finish that blended with the existing architecture of your home. This would, in turn, have improved the market appeal (and stamp value) of your property. Equally, the Ultraroof can be customised to suit your preferences. To ensure that your Ultraroof blends in with your home, you can choose from 3 different tile colours to match that if your property’s roof. Three options will be available – Carbon Grey, Harvest Brown and Terra Brick. Other added extras, like a curved cornice – which will hide your guttering from view – and full-height glazing or Velux windows will ensure that your new roof stands out. The roof panels and patented box beam that formed part of the realROOF provided structural integrity meant that your new living space would have accommodated wide-spanning bi-fold doors or entire window elevations, but without the need for support from lintels. 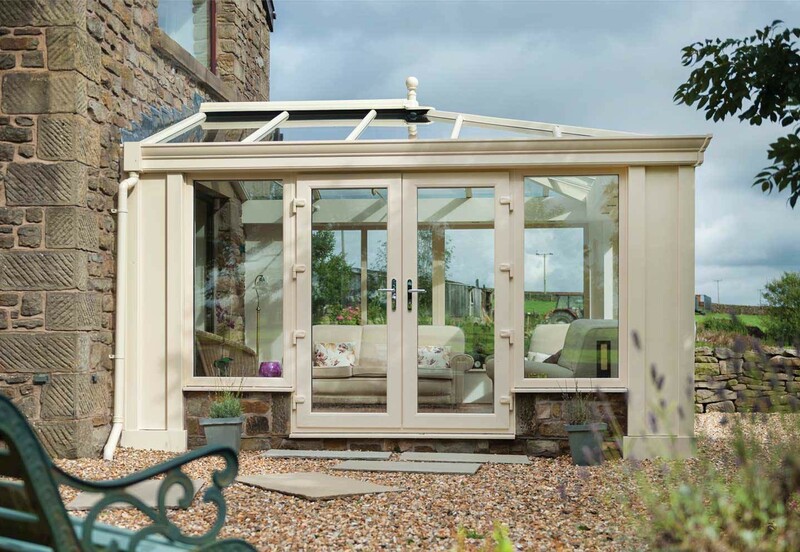 The inherent flexibility of the realROOF meant that your conservatory room would never have felt too enclosed. Instead, it would have connected your home to the outdoors, even when they were closed during colder weather. Nothing has changed with the Ultraroof, which can also accommodate bi-fold doors and will act as a wonderful transition point that sits between your home and garden. The name has changed, and so has the product. Visit our dedicated page to find out more about the Ultraroof, which is a lightweight hybrid roof that perfectly combines the best features and benefits of solid and glass roof systems. You can also contact your nearest Ultra Installer for advice and prices by using our search tool. High Tech carry out a Ultraroof house extension in Malvern, Worcestershire. Getting planning consent for a replacement conservatory roof isn't always necessary, but it's important to check the details of your design before instructing work on your property.